The research fields of the chair are Asset Management, Risk Management, Performance Measurement, Regulation and Social Security. The chair works at the interface of insurance mathematics, economics and management. After his doctoral degree in 2005 he joined the Institute of Insurance Economics (St.Gallen) as post doc. In 2008 he was visiting professor at the University of Wisconsin-Madison (USA). Then in 2009 he was appointed Professor of Insurance at the University of Ulm. Since November 2011 he is Director of the Institute of Insurance Economics and holds the Chair for Insurance Management at the University of St.Gallen. 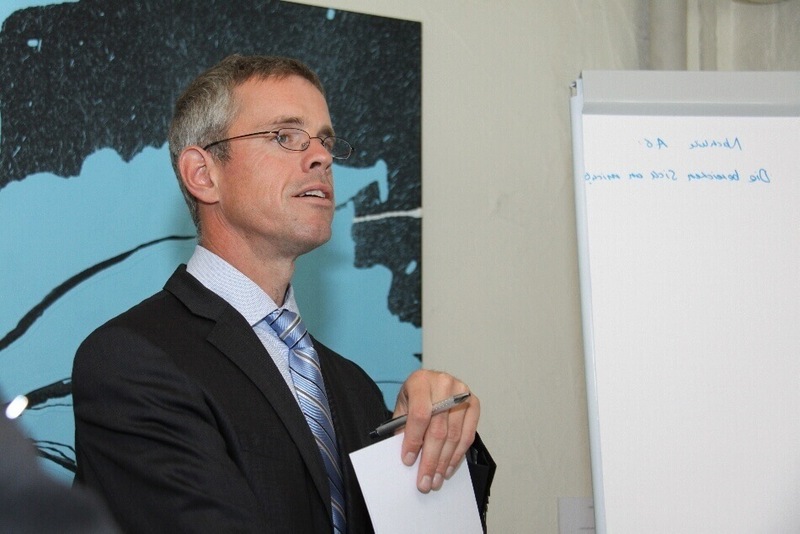 Martin Eling is doing empirical research in the intersection of insurance management, mathematics and economics. Current research topics are digitalization (big data and cyber risk), microinsurance, and social insurance (pension and healthcare). 2008 Best Perspectives Article, awarded by the American Risk and Insurance Association for “The Solvency II Process: Overview and Critical Analysis,” published in Risk Management & Insurance Review (with H. Schmeiser and J. T. Schmit). 2009 Best Article, awarded by the Casualty Actuarial Society for “Management Strategies and Dynamic Financial Analysis,“ published in: Variance (with T. Parnitzke and H. Schmeiser). 2010 Spencer L. Kimball Award, awarded by the National Association of Insurance Commissioners for “An Overview and Comparison of Risk-Based Capital Standards,” published in: Journal of Insurance Regulation (with I. Holzmüller). 2011 Kessler Preis 2010 for “The Performance of Hedge Funds and Mutual Funds in Emerging Markets”, in: Journal of Banking & Finance (with Roger Faust). 2013 Best Perspectives Article, awarded by the American Risk and Insurance Association for “What Do We Know About Market Discipline in Insurance?” published in Risk Management & Insurance Review. 2014 Best Article, awarded by the Casualty Actuarial Society for “Do Underwriting Cycles Matter? An Analysis Based on Dynamic Financial Analysis”, published in: Variance, Vol. 6, 2012, No. 2, S. 131–142 (with Sebastian Marek). 2014 Shin Research Excellence Award, awarded by the International Insurance Society for “Insurability of Cyber Risk: An Empirical Analysis” (with Christian Biener and Jan Wirfs). 2016 JIR Article of the Year, awarded by the National Association of Insurance Commissioners for “Basis Risk, Procyclicality, and Systemic Risk in the Solvency II Equity Risk Module,” in: Journal of Insurance Regulation, Vol. 33, 2014, No. 1, S. 1-39 (with David Pankoke). 2016 Les B. Strickler Innovation in Instruction Award, awarded by the American Risk and Insurance Association. Can Group Incentives Alleviate Moral Hazard? The Role of Pro-social Preferences, forthcoming in: European Economic Review (with Christian Biener, Andreas Landmann and Shailee Pradhan). The Impact of Digitalization on the Insurance Value Chain and the Insurability of Risks, forthcoming in: Geneva Papers on Risk and Insurance (with Martin Lehmann). Data Breaches: Goodness of Fit, Pricing and Risk Measurement, Insurance: Mathematics and Economics, Vol. 75, 2017, pp. 126–136 (with Nicola Loperfido). The Structure of the Global Reinsurance Market: An Analysis of Efficiency, Scale, and Scope, erscheint in: Journal of Banking & Finance, Vol. 77, 2017, pp. 213–229 (with Christian Biener and Ruo Jia). Between-Group Adverse Selection: Evidence From Group Critical Illness Insurance, Journal of Risk & Insurance, Vol. 84, 2017, No. 2, pp. 771–809 (with Ruo Jia and Yi Yao). Under Pressure: How the Business Environment Affects Productivity and Efficiency of European Life Insurance Companies, European Journal of Operational Research, Vol. 258, 2017, No. 3, pp. 1082–1094 (with Philipp Schaper). What Do We Know About Cyber Risk and Cyber Insurance? Journal of Risk Finance, Vol. 17, 2016 No. 5, S. 474–491. (with Werner Schnell). Systemic Risk in the Insurance Sector – What Do we Know? Risk Management & Insurance Review, Vol. 19, 2016, No. 2, pp. 249–284 (with David Pankoke). Recent Research Developments Affecting Nonlife Insurance—The CAS Risk Premium Project 2014 Update, Risk Management and Insurance Review (with Ruo Jia). The Determinants of Efficiency and Productivity in the Swiss Insurance Industry, forthcoming in: European Journal of Operational Research (with Christian Biener and Jan H. Wirfs). Costs and Benefits of Financial Regulation – An Empirical Assessment for Insurance Companies, forthcoming in: Geneva Papers on Risk and Insurance (with David Pankoke). Evidence of Adverse Selection in the Group Insurance Market, forthcoming in: Journal of Risk & Insurance (with Ruo Jia und Yi Yao). Who is Changing Health Insurance Coverage? Empirical Evidence on Policyholder Dynamics, forthcoming in: Journal of Risk & Insurance (with Marcus Christiansen, Jan-Philipp Schmidt and Lorenz Zirkelbach). The Determinants of Efficiency and Productivity in the Swiss Insurance Industry, European Journal of Operational Research, Vol. 248, 2016, No. 2, pp. 703-714 (with Christian Biener and Jan H. Wirfs). Common Risk Factors of Infrastructure Firms, Energy Economics, Vol. 49, 2015, pp. 257-273 (with Semir Ben Ammar). Insurability of Cyber Risk: An Empirical Analysis, Geneva Papers on Risk and Insurance, Vol. 40, 2015, No. 1, pp. 131-158 (with Christian Biener and Jan Wirfs). Recent Research Developments Affecting Nonlife Insurance-The CAS Risk Premium Project 2013 Update, Risk Management and Insurance Review, Vol. 18, 2015, No. 1 (with Christian Biener and Shailee Pradhan). Basis Risk, Procyclicality, and Systemic Risk in the Solvency II Equity Risk Module, Journal of Insurance Regulation, Vol. 33, 2014, No. 1, pp. 1-39 (with David Pankoke). Corporate Governance and Risk Taking: Evidence from European Insurance Markets, Journal of Risk & Insurance Vol. 81, 2014, No. 3, pp. 653-682 (with Sebastian Marek). The Determinants of Microinsurance Demand, Geneva Papers on Risk and Insurance (SSRN’s Top Ten Download im Juli 2013), Vol. 39, 2014, No. 2, pp. 224-263 (with Shailee Pradhan and Joan T. Schmit). Fitting Asset Returns to Skewed Distributions: Are the Skew-Normal and Skew-Student Good Models? Insurance: Mathematics and Economics, Vol. 59, 2014, No. 1, pp. 45-56. Regulation in Microinsurance Markets: Principles, Practice, and Directions for Future Development, World Development, Vol. 58, 2014, No. 1, pp. 21-40 (with Christian Biener and Joan T. Schmit). Discontinued business in non-life insurance: An empirical test of the market development in the German-speaking countries, European Actuarial Journal, Vol. 4, 2014, No. 1, pp. 31-48 (with David Pankoke). Deutscher Aufsichtsrat versus Schweizer Verwaltungsrat – Systematischer Abgleich und Evaluation der zentralen Kontroll- und Leitungsgremien im deutschsprachigen Versicherungsbereich, Zeitschrift für die gesamte Versicherungswissenschaft, Vol. 103, 2014, No. 2, pp. 137-165 (with David Pankoke). What Policy Features Determine Life Insurance Lapse? An Analysis of the German Market, Journal of Risk & Insurance, Vol. 81, 2013, No. 2, pp. 241-269 (with Dieter Kiesenbauer). Intergenerational Transfers and the Stability of the Swiss Retirement System, in: Geneva Papers on Risk and Insurance, Vol. 38, 2013, No. 4, pp. 701–728. The Value of Interest Rate Guarantees in Participating Life Insurance Contracts: Status Quo and Alternative Product Design, in: Insurance: Mathematics and Economics, Vol. 53, 2013, No. 3, pp. 491–503 (with Stefan Holder). Factors that Affect the Performance of Distressed Securities Hedge Funds, Journal of Derivatives & Hedge Funds Vol. 19, 2013, No. 3, pp. 159–180 (with Georgi Bontschev). Recent Research Developments Affecting Nonlife Insurance—The CAS Risk Premium Project 2012 Update, in: Risk Management and Insurance Review, Vol. 16, 2013, No. 2, pp. 219–231 (with Christian Biener). Multi-Year Non-Life Insurance Risk, Journal of Risk Finance, Vol. 14, 2013, No. 4, S. 353–377 (with Dorothea Diers, Marc Linde and Christian Kraus). Research on Lapse in Life Insurance—What Has Been Done and What Needs to Be Done? Journal of Risk Finance, Vol. 14, 2013, No. 4, S. 392–413 (with Michael Kochanski). Modeling Parameter Risk in Premium Risk in Multi-year Internal Models, Journal of Risk Finance, Vol. 14, 2013, No. 3, S. 234–250 (with Dorothea Diers and Marc Linde). Recent Research Developments Affecting Nonlife Insurance—The CAS Risk Premium Project 2011 Update, Risk Management and Insurance Review, Vol. 16, 2013, No.1, S. 35–46. An Efficiency Comparison of the Non-life Insurance Industry in the BRIC Countries, European Journal of Operational Research, Vol. 226, 2013, No. 3, pp. 577-591 (with Wei Huang). Maximum Technical Interest Rates in Life Insurance: An International Overview, Geneva Papers on Risk and Insurance, Vol. 38, 2013, No. 2, pp. 354–375 (with Stefan Holder). How a skewness shock influences optimal allocation in a risky asset (mit Sudheesh Kumar Kattumannil und Luisa Tibiletti), Applied Economics Letters, Vol. 20, 2013, No. 9, pp. 842–846. Do Underwriting Cycles Matter? An Analysis Based on Dynamic Financial Analysis, Variance, Vol. 6, 2012, No. 2, p. 131–142 (with Sebastian Marek). Skewed Distributions in Finance and Actuarial Science, in: European Journal of Finance, Vol. 18, 2012, No. 10 (with Chris Adcock and Nicola Loperfido). Does Surplus Participation Reflect Market Discipline? An Analysis of the German Life Insurance Market, Journal of Financial Services Research , Vol. 42, 2012, No. 3, pp. 159–185 (with Dieter Kiesenbauer). Is there Market Discipline in the European Insurance Industry? An Analysis of the German Insurance Market, Geneva Risk and Insurance Review, Vol. 37, 2012, No. 2, pp. 180–207 (with Joan T. Schmit). Market Consistent Embedded Value in Non-Life Insurance: How to measure it and why, Journal of Risk Finance, Vol. 13, 2012, No. 4, pp. 320-346 (with Dorothea Diers, Christian Kraus and Andreas Reuß). What Do We Know About Market Discipline in Insurance? Risk Management and Insurance Review, Vol. 15, 2012, No.2, pp. 185-223. Fitting Insurance Claims to Skewed Distributions: Are Skew-Normal and Skew-Student Good Models? Insurance: Mathematics and Economics, Vol. 51, 2012, No. 2, pp. 239–248. Organization and Efficiency in the International Insurance Industry: A Cross-frontier Analysis, European Journal of Operational Research, Vol. 221, No. 2, 454–468 (mit Christian Biener). A Decision-theoretic Foundation for Two-parameter Performance Measures, Journal of Banking & Finance, Vol. 36, 2012, No. 7, pp. 2077–2082 (with Frank Schuhmacher). Dependence Modelling in Non-Life Insurance Using the Bernstein Copula, in: Insurance: Mathematics and Economics, 50(3): 430-436, 2012 (with D. Diers and S. Marek). Insurability in Microinsurance Markets: An Analysis of Problems and Potential Solutions, in: Geneva Papers on Risk and Insurance, 37(1): 77–107, 2012 (with C. Biener). Internal and External Drivers for Risk Taking in U.K. and German Insurance Markets, in: International Journal of Banking, Accounting and Finance, 4(1):48–76, 2012 (with S. Marek). Sufficient Conditions for Expected Utility to Imply Drawdown-Based Performance Rankings, in: Journal of Banking & Finance, 35(9):2311–2318, 2011 (with F. Schuhmacher). The Performance of Microinsurance Programs: A Data Envelopment Analysis, in: Journal of Risk & Insurance, 78(1):83–115, 2011 (with C. Biener). Internal vs. External Risk Measures: How Capital Requirements Differ in Practice, in: Operations Research Letters, 38(5): 482–488, 2010 (with L. Tibiletti). One-Size or Tailor-Made Performance Ratios for Ranking Hedge Funds? in: Journal of Derivatives and Hedge Funds, 16(4):267–277, 2010 (with S. Farinelli, D. Rossello and L. Tibiletti). Sharpe Ratio for skew-normal distributions: a skewness-dependent performance trade-off? in: Journal of Performance Measurement, 14(4):34–48, 2010 (with L. Tibiletti). The Performance of Hedge Funds and Mutual Funds in Emerging Markets, in: Journal of Banking & Finance, 34(8):1993–2009, 2010 (with R. Faust). Frontier Efficiency Methodologies to Measure Performance in the Insurance Industry, in: Geneva Papers on Risk and Insurance, 35(2):217–265, 2010 (with M. Luhnen). Efficiency in the International Insurance Industry: A Cross-country Comparison, in: Journal of Banking & Finance, 34(7):1497–1509, 2010 (with M. Luhnen). Skewness in Hedge Funds: Classical Skewness Coefficients vs. Azzalini’s Skewness Parameter, in: International Journal of Managerial Finance, 6(4):290–304, 2010 (with S. Farinelli, D. Rossello and L. Tibiletti). Wo investieren Distressed-Securities-Hedgefonds? in: Kredit und Kapital, 43(3):375–406, 2010 (with G. Bontschev). Insurance and the Credit Crisis: Impact and Ten Consequences for Risk Management and Supervision, in: Geneva Papers on Risk and Insurance, 35(1):9–34, 2010 (with H. Schmeiser). Die Risikoübernahme von Versicherungsunternehmen: Eine empirische Analyse für Deutschland und Großbritannien, in: Zeitschrift für die gesamte Versicherungswissenschaft, 99(5):711–724, 2010 (with Sebastian Marek). Versicherungszyklen in der deutschen KFZ-Versicherung, in: Zeitschrift für die gesamte Versicherungswissenschaft, 98(5):507-516, 2010 (with Michael Luhnen). Risk and Return of Reinsurance Under Copula Models, in: European Journal of Finance, 15(7-8):751–775, 2009 (with D. Toplek). Modeling and Management of Nonlinear Dependencies–Copulas in Dynamic Financial Analysis, in: Journal of Risk & Insurance, 76(3):651–681, 2009 (with D. Toplek, SSRN’s Top Ten Download for Banking & Insurance im Juli 2007). Minimum Standards for Investment Performance: A New Perspective on Solvency Assessment, in: Insurance: Mathematics and Economics, 45(1):113–122, 2009 (with N. Gatzert and H. Schmeiser). Good news and bad news on ellipticity in the distribution of capital market returns, in: Atlantic Economic Journal, 37(2):209–210, 2009 (with L. Tibiletti). Does Hedge Fund Performance Persist? Overview and New Empirical Evidence, in: European Financial Management, 15(2):362–401, 2009. An Overview and Comparison of Risk-Based Capital Standards, in: Journal of Insurance Regulation, 26, 2008, No. 4:31-60 (with I. Holzmüller, awarded with Spencer L. Kimball Award by the National Association of Insurance Commissioners). Performance Measurement in the Investment Industry: Does the Measure Matter? in: Financial Analysts Journal, 64, 2008, No. 3:54-66. The Swiss Solvency Test and its Market Implications, in: Geneva Papers on Risk and Insurance, 33(3):418-439, 2008 (with N. Gatzert and H. Schmeiser). Management Strategies and Dynamic Financial Analysis, in: Variance, 2(1):52-70, 2008 (with T. Parnitzke and H. Schmeiser, awarded as Best Article 2008 by the Casualty Actuarial Society). Die Modellierung von Rückversicherungsverträgen in der Dynamischen Finanzanalyse, in: Zeitschrift für die gesamte Versicherungswissenschaft, 97(4):479-490, 2008 (with D. Toplek). Understanding Price Competition in the German Motor Insurance Market, in: Zeitschrift für die gesamte Versicherungswissenschaft, 2008(Ergänzungsband):37-50 (with M. Luhnen). Does the Choice of Performance Measure Influence the Evaluation of Hedge Funds? in: Journal of Banking & Finance, 31(9):2632-2647, 2007 (with F. Schuhmacher). The Solvency II Process: Overview and Critical Analysis, in: Risk Management & Insurance Review, 10(1):69-85, 2007 (with H. Schmeiser and J. T. Schmit, awarded as Best Perspectives Article by the American Risk and Insurance Association). Dynamic Financial Analysis: Conception, Classification, and Implementation, in: Risk Management & Insurance Review, 10(1):33-50, 2007 (with T. Parnitzke). 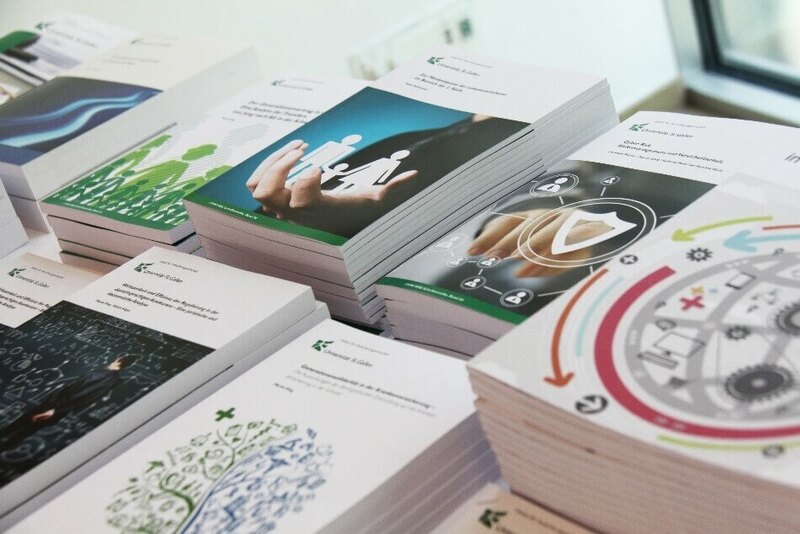 Zur Integration heuristischer Management-Regeln in die Dynamische Finanzanalyse, in: Zeitschrift für die gesamte Versicherungswissenschaft, 2007(Ergänzungsband):291-303, 2007 (with T. Parnitzke und H. Schmeiser). Finanzwirtschaftliche Garantien bei Investmentfondsprodukten und ihre bilanzielle Abbildung gemäß IFRS, in: BankArchiv (ÖBA), 55(10):795-803, 2007 (with H. Schmeiser). Der Swiss Solvency Test: Ein Vorbild für Solvency II? in: Finanz Betrieb, 9(5):278-282, 2007. Wo sind die Grenzen des Marktwachstums von Hedgefonds? in: Finanz Betrieb, 9(1):43-47, 2007. Performance Measurement of Hedge Funds Using Data Envelopment Analysis, in: Financial Markets and Portfolio Management, 20(4):442-471, 2006. Autocorrelation, Bias, and Fat Tails – Are Hedge Funds Really Attractive Investments? in: Derivatives Use, Trading & Regulation, 12(1):28-47, 2006. Das deutsche und schweizer Krankenversicherungssystem: Kosten, Leistungen und Anreizwirkungen aus Sicht der Versicherten, in: Zeitschrift für die gesamte Versicherungswissenschaft, 95(4):597-618, 2006 (with T. Parnitzke). Hat die Wahl des Performancemaßes einen Einfluss auf die Beurteilung von Hedgefonds-Indizes? in: Kredit und Kapital, 39(3):419-454, 2006 (with F. Schuhmacher). Hedgefonds-Strategien – Systematisierung und Überblick, in: BankArchiv (ÖBA), 54(8):543-555, 2006. Kapitalanlagepolitik und -performance der deutschen Lebensversicherer im Spannungsfeld von Buch- und Zeitwerten, in: Zeitschrift für die gesamte Versicherungswissenschaft, 95(2):185-224, 2006. Eine Analyse der Zeit- und Marktphasenstabilität von Hedgefonds-Renditen, in: Finanz Betrieb, 8(5):329-338, 2006. The Parent Company Puzzle on the German Stock Market, in: Financial Markets and Portfolio Management, 19(1):7-28, 2005 (with F. Schuhmacher). Asset Liability Management in der Finanzdienstleistungsindustrie, in: Die Betriebswirtschaft, 65(3):323-326 (with T. Parnitzke). Eignung von Hedgefonds für das Asset Management der deutschen Versicherungsindustrie, in: Zeitschrift für die gesamte Versicherungswissenschaft, 93(3):325-347, 2004. Gesundheit 2020+: Aktuelle strategische Herausforderungen und Handlungsfelder in der sozialen Krankenversicherung, 110 Seiten, I.VW HSG Schriftenreihe, Band 60, St.Gallen, 2016. Cyber Risk: Too Big to Insure? Risk Transfer Options for a Mercurial Risk Class, 162 Seiten, I.VW HSG Schriftenreihe, Band 59, St.Gallen, 2016 (mit Jan Wirfs). Run-off 2016: Status quo und zukünftige Bedeutung von Run-off im deutschsprachigen Nichtleben-Versicherungsmarkt, 133 Seiten, I.VW HSG Schriftenreihe, Band 58, St.Gallen, 2016 (mit Philipp Schaper). Konsumentenschutz aus Kundensicht: Eine empirische Studie im Schweizer Versicherungsmarkt, 180 pages, I.VW HSG Schriftenreihe, Band 57, St.Gallen, 2015 (with Pascal Bühler, Peter Maas and Veselina Milanova). Alternative Risk Transfer and Insurance-Linked Securities: Trends, Challenges and New Market Opportunities, 174 pages, I.VW HSG Schriftenreihe, Band 56, St.Gallen, 2015 (with Semir Ben-Ammar). 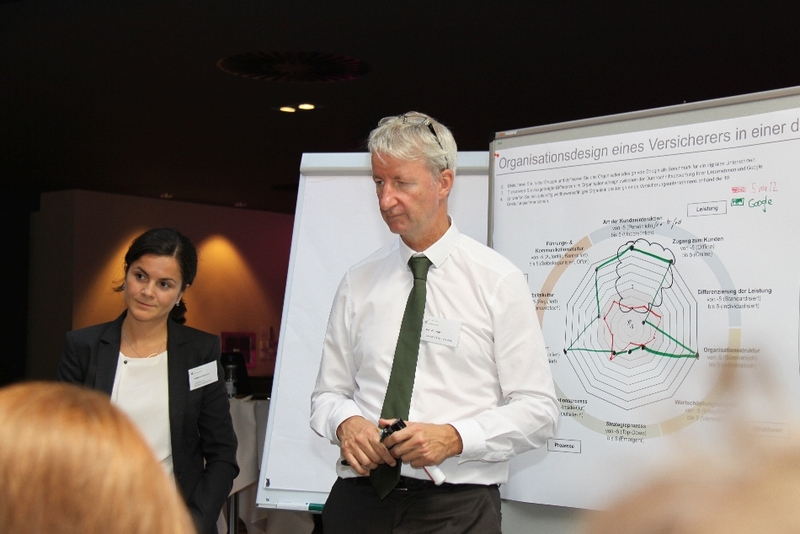 Cyber Risk: Risikomanagement und Versicherbarkeit, 104 Seiten, I.VW HSG Schriftenreihe, Band 54, St.Gallen, 2015 (with Christian Biener, Andreas Matt and Jan Wirfs). Wirksamkeit und Effizienz der Regulierung in der deutschsprachigen Assekuranz – Eine juristische und ökonomische Analyse, 166 pages, I.VW HSG Schriftenreihe, Band 53, St.Gallen, 2014 (with Sabine Kilgus). Brennpunkt Solidarität: Diskussionsbeiträge zur Weiterentwicklung der Sozialen Krankenversicherung, 156 Seiten, Schriftenreihe der Schweizerische Gesellschaft für Gesundheitspolitik (SGGP), Band 125, Bern, 2014 (with Konstantin Beck, Christian Biener and Viktor von Whyl). Generationensolidarität in der Krankenversicherung – Die Auswirkungen der demografischen Entwicklung auf die Krankenversicherung, 104 Seiten, I.VW HSG Schriftenreihe, Band 52, St.Gallen, 2013. Der Generationenvertrag in Gefahr: Eine Analyse der Transfers zwischen Jung und Alt in der Schweiz, 130 Seiten, I.VW HSG Schriftenreihe, Band 51, St.Gallen, 2012. 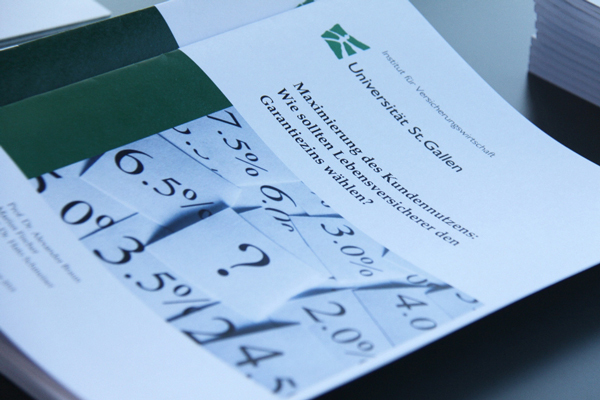 Volkswirtschaftliche Implikationen aus dem Swiss Solvency Test, 103 pages, I.VW HSG Schriftenreihe, Band 48, St.Gallen, 2006 (with H. Schmeiser, N. Gatzert, S. Schuckmann and D. Toplek). Hedgefonds-Strategien und ihre Performance, 230 pages, Reihe: Finanzierung, Kapitalmarkt und Banken, Band 45, Eul-Verlag, Lohmar, 2006. Japan oder Argentinien?, Absolut|Report, Nr. 12, 2016. Die grössten Baustellen im Gesundheitssektor, Schweizer Versicherung, September 2016. Wohin führt die Digitalisierung? Schweizer Versicherung, September 2016. Wo steht die Motorfahrzeugversicherung im Jahr 2030? Schweizer Versicherung, Heft 1, 2016. Wie Schweizer über Versicherungen entscheiden, Schweizer Versicherung, Heft 12, 2015. Konsumentenschutz neu gestalten, AWP Soziale Sicherheit, 41. Jg., 2015, Heft 10, S. 1. ILS Herausforderungen und Marktchancen von Insurance-Linked Securities – Eine Befragung institutioneller In-vestoren, Absolut|Report, Nr. 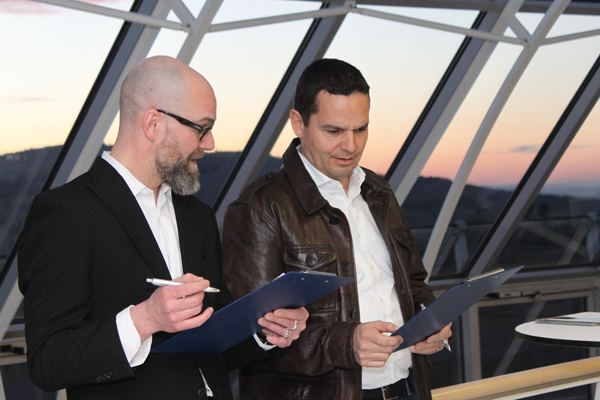 9, 2015 (mit Semir Ben-Ammar und Alexander Braun). Insurance Linked Securities; Versicherungswirtschaft, 70. Jg., 2015, September (mit Alex Braun und Semir Ben-Ammar). Cyber Versicherung, Zeitschrift für Versicherungswesen, 65. Jg., 2015, Heft 9. Insurance Linked Securities, Die Versicherungspraxis, 105. Jg., 2015, Heft 7, S. 37. Appetit auf Katastrophenbonds steigt, 41. Jg., AWP Soziale Sicherheit, 2015, Heft 7, S. 10. Neuer Markt entsteht, Schweizer Versicherung, 28. Jg., 2015, Heft 7, S. 28. Cyber Risk Management, Riskmanagement-Guide 2015, 2015. Japan oder Argentinien, Schweizer Versicherung, 28. Jg., 2015, Heft 4, S. 24. Keeping the insurance industry in shape, Asia Insurance Review, March 2015, S. 68-69. Current strategic key challenges of the insurance industry, Insurance & Finance Newsletter, 2015. The Complexity Risk of Regulation: An article on the complexity of Solvency II, Proges, 2015. Cyber Risiken – Risikomanagement und Versicherbarkeit, in: Mit Sicherheit voraus. 100 Jahre Familienunternehmen Kessler, Zürich, pp. 147-153. Neue Möglichkeiten im Asset Management durch Infrastruktur-Investments, I.VW Management Information, 2014, Heft 4, pp. 3-5. Nicht mehr – aber besser, Schweizer Versicherung, 27. Jg., 2014, Heft 7, pp. 31. Zu viel Druck, zu hohe Kosten, Schweizer Versicherung, 27. Jg., 2014, Heft 7, pp. 18-21. Jungrentner: Rüstig, engagiert und finanzstark, , in: Cosandey, J. (Hrsg. ): Generationenungerechtigkeit überwinden, NZZ Libro, Zurich, 2014, pp. 35-43. Ein heisses Jahr für Alain Berset, Schweizer Versicherung, 27. Jg., 2014, Heft 2, p. 29. Umverteilung von Jung nach Alt, Versicherungswirtschaft, 68. Jg., 2013, Heft 23, p. 36. Die Stiftungsräte sind optimistisch, Schweizer Versicherung, 26. Jg., 2013, Heft 9, p. 30-31 (mit Thomas Angehrn). Risiken von Infrastruktur-Investments, Absolut|Report, Nr. 8, 2013, pp. 42-49 (mit Semir Ben-Ammar). Aktiver Umgang mit Run-off setzt Kapitel frei, Versicherungswirtschaft, 68 Jg., 2013, Heft 1, pp. 26-29 (mit David Pankoke). Risk, return and infrastructure investments: which factors matter – and which don’t? I.VW Management Information, 2013, Heft 3, p. 25-28 (mit Semir Ben Ammar). Neue Versicherungsmärkte – Wachstumschancen und Risiken, I.VW Management Information, 2013, Heft 3, p. 3-8 (mit Christian Biener). Run-off 2013: Status quo und zukünftige Bedeutung von Run-off im deutschsprachigen Nichtleben-Versicherungsmarkt, Studie (mit David Pankoke). Transfers stoppen – Junge entlasten, AWP Soziale Sicherheit, 2013, Heft 1, p. 10. Alterssicherung im Umbrauch, Versicherungswirtschaft, 2013, Heft 1, p. 16. Generationengerechtigkeit erfordert Reformen der Alterssicherung, I.VW Management Information, 2013, Heft 1, S. 21-25. Bewertungsreserven neu geregelt, Wirtschaftsdienst, 2013, Heft 1, S. 5-6. Demographischer Wandel, Kapitalmarktrisiken und damit verbundene Herausforderungen im Bereich der Alterssicherung, ESPRIT St. Gallen Business Review, Winter 2012, S. 32-35. Höchste Zeit, für die Jungen etwas zu tun, AWP Soziale Sicherheit, 2012, Heft 23, S. 2. Autocorrelation, Bias, and Fat Tails: An Analysis of Funds of Hedge Funds, in: Gregoriou, Greg N. (Hrsg. ): Funds of Hedge Funds, Elsevier. Performance-Analyse von Distressed-Securities-Hedgefonds, erscheint in: BAI Newsletter, Bundesverband Alternative Investments (mit Georgi Bontschev). Run-off in der Schaden- und Unfallversicherung, Versicherungswirtschaft, 67 Jg., 2012, Heft 17, pp. 1292-1297. Emerging Markets gewinnen an Bedeutung, in: Zeitschrift für Versicherungswirtschaft, 63. Jg., 2012, Heft 4, pp. 119-122 (with C. Biener). Aktuelle Herausforderungen der MCEV Bewertung, in: Versicherungswirtschaft, 67 (2) 2012 (with C. Kraus). Mit Alternativen aus der Falle, Schweizer Versicherung, 25. Jg., 2012, Heft 3, S. 24-25. Die Asset Management Industrie kann viel für die Assekuranz tun, Absolut|Report, Nr. 50, 2011, S. 94-98. Messbar oder nicht messbar? Operationelle Risiken in der Assekuranz, in: Versicherungswirtschaft, forthcoming (with C. Hess). Report on the CAS COTOR Risk Premium Project Update, in: SOA Society of Actuaries Newsletter, forthcoming (with H. Schmeiser). The Role of Market Discipline in the Insurance Industry, in: Liedtke, P./Monkiewiecz, J. (Ed. ): The Future of Insurance Regulation and Supervision, Vol I. Global Issues, Palgrave Macmillan, 2011, pp. 131-148. Finanzielle Führung eines Versicherungsunternehmens, in: Ackermann, W./Schmeiser, H. (Ed. ): Versicherungswirtschaft, VBV Lehrbuch, 2011 (with H. Schmeiser). RPP II—The Risk Premium Project Update, in: Actuarial Review, 38(3), 2011 (with H. Schmeiser). Mikroversicherung: Profitabilität und Wachstumschancen in Zukunftsmärkten? in: Zeitschrift für das gesamte Kreditwesen, 64(8):403-404, 2011 (with C. Biener). The Risk Premium Project (RPP) Update – RPP II Report, Studie für die Casualty Actuarial Society, 2010 (with Hato Schmeiser). A Comparison of Insurance Regulation in the U.S. and the European Union, in: Powell, L. S. (Ed. ): Competition and the Future of Property and Casualty Insurance Markets, Washington, 2010 (with R. Klein and J. T. Schmit). 12 Einträge in: Wagner, Fred (Hrsg. ): Gablers Lexikon der Versicherungswirtschaft, Wiesbaden, 2009. Marktdisziplin und Harmonisierung mit IFRS – Die dritte Säule von Solvency II, in: Versicherungswirtschaft, 64(9):658-660, 2009. The Performance of Hedge Funds and Mutual Funds in Emerging Markets, I.VW Management Information, 2009, Heft 3, S. 45-46 (mit Roger Faust). Preiskampf im deutschen Kraftfahrzeugversicherungsmarkt? in: I•VW Management Information, 31(1):35-36, 2009 (with M. Luhnen). Finanzkrise: Schweizer Versicherer können profitieren, in: Schweizer Versicherung, 21(12):23-25, 2008 (with H. Schmeiser). Anforderungen an eine erfolgreiche Versicherungsaufsicht, in: I•VW Management Information, 30(3):23-24, 2008 (with H. Schmeiser). Commodity Trading Advisors: A Review of Historical Performance, in: Fabozzi, F./Füss, Roland/Kaiser, Dieter G. (Ed. ): The Handbook of Commodity Investments, Hoboken, Wiley, 626-647, 2008. Limited partnership, Qualified investor, Regulation D fund, Risk arbitrage und Self selection bias, five entries in: Gregoriou, G. (Ed. ): Encyclopaedia of Alternative Investments, London, Chapman & Hall, 2008. Herausforderungen bei der IT-Umsetzung von Asset Liability Management, in: Versicherungswirtschaft, 63(20):1722-1725, 2008 (with H. Schmeiser, D. Toplek and M. Steger). Measuring Hedge Fund Performance Using an Adjusted Modified Sharpe Ratio, in: FSR Forum, Financial Study Association, Erasmus University Rotterdam, 10(1):7-11, 2007. Asset Liability Management in der deutschsprachigen Assekuranz, 64 Seiten, Studie I.VW HSG/Solution Providers AG, St. Gallen/Dübendorf, 2007 (with S. Schuckmann and D. Toplek). Asset Liability Management – Ein Methodenüberblick, in: I•VW Management Information, 29(4):11-15, 2007 (with T. Parnitzke). Asset Liability Management: Ergebnisse einer Studie in der deutschsprachigen Assekuranz, in: I•VW Management Information, 29(4):17-21, 2007 (with D. Toplek and M. Steger). A Management Rule of Thumb in Property-Liability Insurance, in: Waldmann, K.-H./Stocker, U. (Ed. ): Operations Research Proceedings 2006, Berlin/Heidelberg/New York, Springer: 281-286 (with T. Parnitzke and H. Schmeiser). Gibt es Persistenz in der Performance von Hedgefonds? in: BAI Newsletter, Bundesverband Alternative Investments, 6(3):32-38, 2007. Schweiz vs. Deutschland: Zwei Krankenversicherungssysteme im Vergleich, in: Schweizer Versicherung, 20(4):8-13, 2007 (with T. Parnitzke). Swiss Solvency Test und Solvency II: Zwei Reformprozesse auf unterschiedlichen Wegen? in: I•VW Management Information, 28(4):3-6, 2006 (with H. Schmeiser and S. Schuckmann). Hedgefonds im Asset Management der Schweizer Versicherer, in: Schweizer Versicherung, 19(10):16-19, 2006. Die Bestimmung der Solvabilität mit der Dynamischen Finanzanalyse, in: Zeitschrift für Versicherungswesen, 57(18):569-572, 2006 (with T. Parnitzke). Performancemessung von Hedgefonds im Portfoliokontext, in: Busack, Michael/Kaiser, Dieter G. (Ed. ): Handbuch Alternative Investments, Wiesbaden, Gabler, 601-618, 2006 (with F. Schuhmacher). Versicherungsaufsicht unter Solvency II: Zwei Phasen, drei Säulen und zwei Stufen, in: Zeitschrift für das gesamte Kreditwesen, 59(15):768-770, 2006 (with H. Schmeiser). Performance Measurement of Hedge Fund Indices – Does the Measure Matter? in: Haasis, Hans-Dietrich/Kopfer, Herbert/Schönberger, Jörn (Ed. ): Operations Research Proceedings 2005, Berlin/Heidelberg/New York, Springer, 205-210, 2006 (with F. Schuhmacher). Der Markt für Hedgefonds in Deutschland – Erfahrungen zwei Jahre nach Einführung des Investmentmodernisierungsgesetzes, in: Zeitschrift für das gesamte Kreditwesen, 59(11):561-563, 2006. Dynamische Finanzanalyse: Das Solvabilitätsmodell und die mathematische Steuerung, in: Versicherungswirtschaft, 61(6):461-464, 2006 (with T. Parnitzke). Sind Hedgefonds für die Kapitalanlage deutscher Versicherer geeignet? 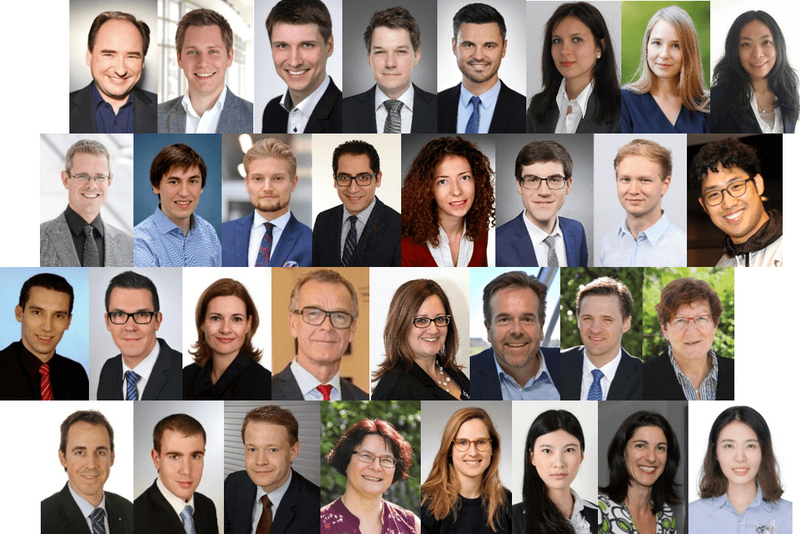 in: BAI Newsletter, Bundesverband Alternative Investments, 5(1):41-47, 2006. Deckungsbeitragsrechnung und ganzzahlige Programmierung, in: WiSt – Wirtschaftswissenschaftliches Studium, 34(12):709-716, 2005 (with A. Rohleder). Die Sharpe-Ratio oder ein alternatives Performancemaß? in: Absolut|Report, 29:36-43, 2005 (with F. Schuhmacher). Hedgefonds, in: WiSt – Wirtschaftswissenschaftliches Studium, 33(7):424-426, 2004 (with C. Erner). Bewertung und Risikomodellierung in der privaten Krankenversicherung; research grant by the German Insurance Science Association, with M. Christiansen. Regulation in the Financial Services Industry after the Crisis, Lead Agency Procedure, German Research Foundation (DFG) and Swiss National Science Foundation (SNF), with H. Schmeiser. Microinsurance and Efficiency in the Insurance Industry, research grant from the German Research Foundation (DFG). Developing New Risk-Based Capital Standards Across Europe, research grant from the Swiss National Science Foundation (SNSF), with H. Schmeiser.